English Tenses - learn about the different tense form in English. English Tenses -The tense of a verb tells you when a person did something or when something existed or happened. 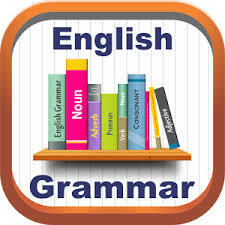 In English, there are three main tenses: the present, the past, and the future. You can practice the following tenses with your skypeclass Teacher. to describe things that are currently happening or that are currently or always the case (I lovechocolate ice cream; my parents are in New York this week; he has fair hair and blue eyes; some birds eat worms and insects). to talk about something that exists or happens regularly (she goes out every Saturday night; it always rains here in winter; I start work at 7.30 a.m.). to refer to a future situation in certain cases and in some subordinate clauses (the bus arrives in London at 6 p.m.; I’ll make us some coffee when we get home). to refer to an event or situation which happened once and is now finished (I met Lisa yesterday; we ate a huge breakfast this morning; they walked ten miles that day; you told me that before). to describe a situation that lasted for a longer time in the past but is now finished (he went to college for four years; my family lived in Oxford in the 1980s; I loved her for ages but never toldher). to talk about an event that happened regularly or repeatedly but is now over (she called for help over and over again; we ate out every night last week; I phoned him three times today). to give or ask for information about the future (you will be in California tomorrow; how long willthe journey take? ; OK, I’ll write that report on Thursday). to talk about things that we think are likely or possible to happen in the future, but which aren’t completely certain (I think she’ll retire soon; he won’t [will not] stay married to her for long; you’ll never lose weight, you like food too much). to refer to conditional situations, namely things that will or may happen if something else occurs (if it’s hot I’ll go swimming later; you’ll get stressed out if you work all the time). to make promises or threats, or to state decisions at the time of speaking (Fine, I’ll call you soon; Are you going into town? We’ll give you a lift; I’ll never speak to you again). The future tense is formed with will (or shall) and the infinitive of the verb without ‘to’. There are two further types of tense: the continuous and the perfect. These tenses are sometimes referred to as aspects rather than tenses. The term aspect is used in grammar to talk about the form of a verb that shows, for example, whether the action happens once or repeatedly, is completed or still continuing. There is more information about tenses from the BBC Skillswise website.